Whether or not you should seek mortgage refinancing will depend on your specific circumstances. There are a number of things that you should consider before you apply for a home refinance. They are explained here. The first qualification that you have to consider for refinancing is the amount of equity that is currently in your home. There are many Americans who have found themselves owing more than their home is worth. If you attempt to refinance with minimal or no equity, this will not be possible with many traditional lenders; however, there are some government programs that allow it. In order to determine if you will qualify for a certain program is to visit lenders and discuss your needs. Most lenders have also increased the standards they have for approving their loans, which means that even with good credit, some consumers may not qualify for the lowest available interest rates. In most cases, lenders will want an individual to have a credit score of, at minimum, 720, in order to qualify for the lowest interest rates. While borrowers that have scores lower than this may still be able to get a new loan, the fees and interest rates are likely to be higher. If you currently have a mortgage loan, then you may make the assumption that you will be able to easily acquire a brand new on. However, lenders have not only increased their requirements for credit scores, they have also become more stringent in the requirements for a person’s debt-to-income ratio. While there are some factors such as a higher income and a stable and long job history that will help you qualify for a loan, most lenders want to keep a person’s payments under 31 percent of the gross total income. The debt to income ratio needs to be under 36 percent; however, with some other, positive factors, there are some lenders that are willing to work with those having one that is over 40 percent. 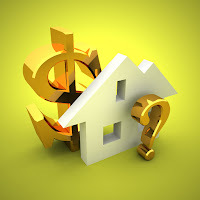 In most cases, home refinancing will cost between three and five percent of the total amount of the loan; however, there are a number of ways that a borrower can reduce these costs, or include them with the loan. If you have plenty of equity, you will be able to roll the costs into the new loan, which increases the principle. Selecting the right mortgage broker will help a homeowner get the refinancing they need to lower their payment. Taking the time to research each of the mortgage professionals in an area will make this much easier.